In today`s economy traditional marketing methods are getting obsolete. Those retailers whose competitive advantages are based solely on price or selection are at risk to lag behind the times, since the Internet and mobile technologies to a great extent neutralize them. To stand out from the crowd and delight consumers, retailers must utilize effective IT solutions. Integration of people, processes, applications and information. More personalized, customized experience, based on context, actions, location and preferences. Real-time access to critical business data. Increased effectiveness of marketing and promotional programs. 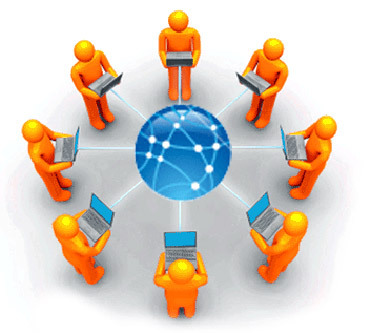 Intelligent and pro-active collaboration with trading partners and suppliers via the web. Mobile platforms define the modern way of shopping. Consumers with smartphones use their mobile devices and mobile applications to help with shopping — to check product availability, compare prices, get more product information, identify alternatives, find complementary items, locate a store, etc. Offers become real-time and one-to-one, which creates much more value for consumers, as well as higher success rates for retailers. Choice and convenience are significant drivers in sales growth. Providing consumers with the flexibility to shop how and when they desire is one of the conditions for their returning. The increased loyalty leads to greater customer basket size and spending. In addition to that, the feelings of satisfaction and confidence about the purchases at a particular retailer can turn consumers into its advocates, and they will most probably praise its services when talking to friends and colleagues or sharing information in social media. Overall, by leveraging portal services, retailers can gain marketplace advantages and increase revenues.